I can't believe I saw this today! Lamborghini Espada. I just don't understand why somebody would try to modify this historic car?! So true, I've seen so many nice cars this year! Seeing a Veyron is still on my bucket list! Yeah, thats my favorite mansory. It was the one that actually got me into the company. 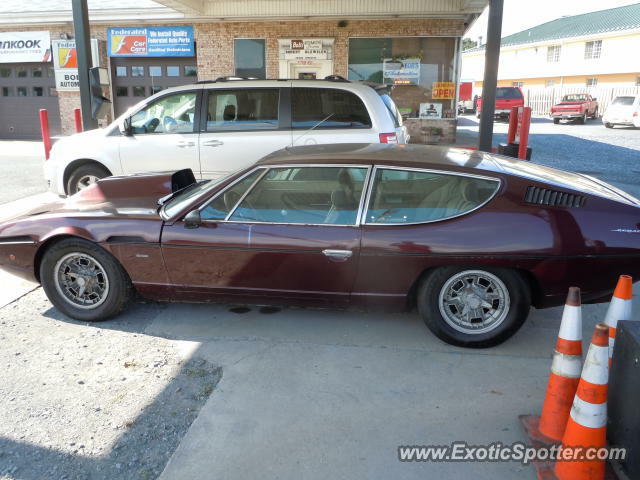 Wow, an Espada. Super find! Driveblox, you're right: DjShift's opinion is as good as the rest of ours. DjShift: I hope you understand that I wasn't trying to be a d*ck, and my post was written with a light heart. Though it was a long post (I type as fast as I think, so a long post of mine doesn't mean I was stewing on it for a long time), I was basically just trying to say don't be surprised if you're just about the only one on here that likes Mansory, and your love for wildly-altered exotics is certainly "unique" lol. And as others said, that's not meant to be an insult. @r8lover, Oh, okay. Thank you!!! @DjShift That was meant as a compliment. Not trying to make anyone mad at all. I'm just explaining my opinion, too. Djshift, I'm sorta with you. I like very few Mansory cars, Like the Panamera. They make it awesome looking. I like large wings, especially the ones on the Superbirds too. Large rims, not so much. And, I love classic Exotics. Especially the Miura. Great oldschool Lambo. Your opinion is as good as anyone else's. Don't feel bad DjShift, We all respect your opinion (I think) and we should all like everyone else's opinions, too. You certainly do have a unique opinion DjShift. I love exotics with bodykits. I love the fast and the furious modded cars. I am not just going for entertainment, i'm stating my opinion. I love huge rims and wings Plymouth Superbird sized especially. I think mansory helps everything they touch. I know many other people who also love mansory just as much as me. Whoa, this is getting intense! Great to hear your guys opinions! Mansory makes the ugliest wheels.